Details about United Nations Sc 1-11 MNH. 1951 First Issue, complete set of 11, fresh, VF. 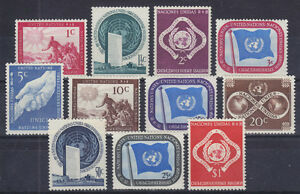 United Nations Sc 1-11 MNH. 1951 First Issue, complete set of 11, fresh, VF.